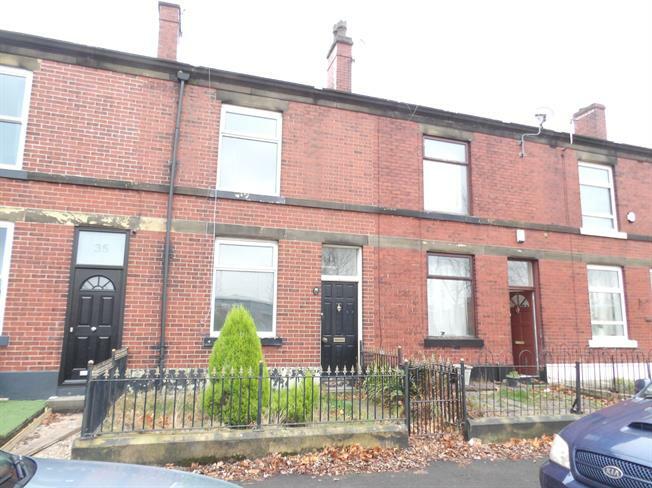 3 Bedroom Terraced House For Sale in Bury for Offers Over £110,000. Entwistle Green are pleased to bring to the market this garden fronted mid terraced home located just off Walshaw Road in BL8. Situated on the doorstep of Elton Primary School this property benefits from easy access to good local schools, shops and amenities as well as excellent transport links. The property briefly comprises of entrance porch, hallway, two reception rooms, extended kitchen, three bedrooms and family bathroom. Externally the property offers gardens to front and rear and benefits from double glazing throughout. The property is in need of refurbishment and is available with no onward chain.